It looks like the Mars Curiosity rover isn’t the only thing landing on Mars this year. Rovio just took the lid off of its next major Angry Birds update, Angry Birds Space: Red Planet. Earlier this year, Rovio took its popular franchise into outer-space, and within 12 hours it was the number one paid application in the App Store. But can lightning strike again? Obviously, it being a teaser and all, the clip doesn’t give us much insight into what new additions Red Planet will bring. But judging by the bird’s shadow we get a glimpse of in the video, we get the feeling that it’s going to be more birds-flying-at-pigs action. Some folks feel that the Angry Birds series, which surpassed the 1 billion download mark back in May, is getting a bit long in the tooth. And Rovio has heard those pleas for change, and recently announced that a new pig-based game was in the works. 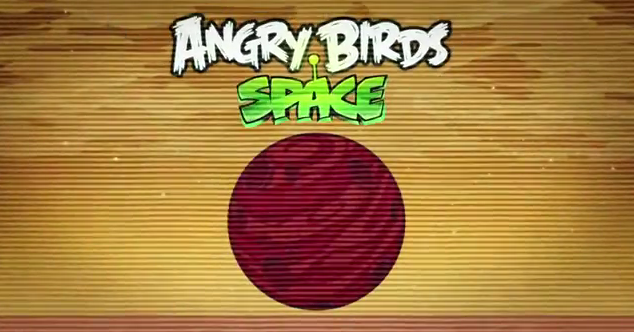 Angry Birds Space: Red Planet is expected to land on iOS sometime this fall. But until then, you can find the current version of Angry Birds Space in the App Store for $.99.